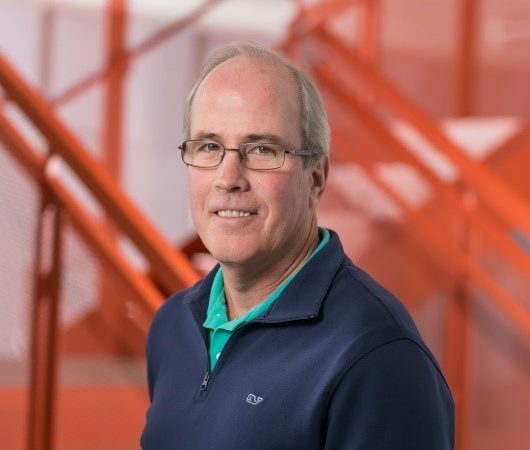 The Society of Collision Repair Specialists announced Monday that Chipotle Chief Financial Officer Jack Hartung will headline its April “Repairer Roundtable” during CIC Week in Westminster, Colo. The free event will take place Wednesday, April 11, from 9-11 a.m. at the Denver-area Westin, the same venue as the Collision Industry Conference starting later that day. The chief financial officer of a fast-casual restaurant chain might seem like an unusual choice for an audience of collision repairers, but business is business, and Chipotle’s story speaks to some of the most pressing issues in collision repair. Chipotle was founded on the idea that “food served fast didn’t have to be a ‘fast-food’ experience,” according to its website. “Using high-quality raw ingredients, classic cooking techniques, and distinctive interior design, we brought features from the realm of fine dining to the world of quick-service restaurants,” it continues. Compare that notion to a collision repair industry where auto body shops fear that customers will spurn quality for the opportunity to save or pocket money or won’t serve as their own advocate on issues like shop choice or OEM procedures and parts. Chipotle’s story shows that some customers are willing to seek out quality — and catering to that base can be highly profitable for a business. Chipotle’s stock opened in January 2006 at $42.20 and was trading at $324.25 a share as of late Wednesday morning, according to Yahoo Finance. Its 2017 revenue was $4.5 billion, with net income of $176.3 million, and it ended the year with 2,408 restaurants — compared to just one location 25 years ago. That’s an important message for an industry that sometimes can feel as though it’s in a “race to the bottom” fueled by cut-rate practitioners or insurer pressure. Hartung is in charge of Chipotle’s financial planning and tax and business strategy — and also the company’s information technology. He’s the ideal choice to explain how a vision of quality actually can work on a body shop’s balance sheet. “Jack will provide SCRS audience members with an intimate look into the critical role of culture in an organization; the idea of reshaping the consumer expectation; the challenges and potential for success in developing a business model that accounts for higher quality and higher associated costs, even in competition with low-cost providers; and the fundamental importance of consumer trust, how easy it is to lose, and necessary measures to build it back,” SCRS wrote in a news release. Hartung and three auto body shop owners — local Robert Grieve of Nylund’s Collision Center (Denver), Jeff Kallemeyn of Kallemeyn Collision (Chicago), Matthew McDonnell of Big Sky Collision (Billings, Mont.) will then discuss how these concepts relate to the collision repair industry. “If you have ever struggled with investing more than your competition in training, equipment, and skillset development, or the pressure of explaining to a consumer why you, your business, and the work you produce is not the same as ‘the shop down the street, ‘ this is the out-of-the-box presentation to help offer thoughtful perspective,” SCRS wrote. 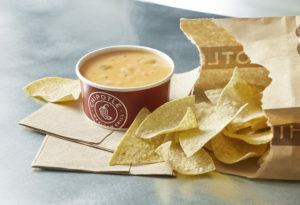 As SCRS alluded, Hartung and Chipotle also have lessons for shops on how to rebuild a business and customer trust after internal and external incidents damage a company’s reputation and finances. The company experienced a data breach in 2017 from malware on credit card point-of-sale terminals — a tech concern all retailers should fear — and has set aside $30 million for liabilities related to it. More relevant to the quality discussion, Chipotle’s 2017 10-K notes the impact its issues with E.coli and norovirus between 2015 and 2017 had on the company — and points out how its problems might have been exacerbated by the rise of social media. That’s a lesson for shops without a good handle on their online presence. 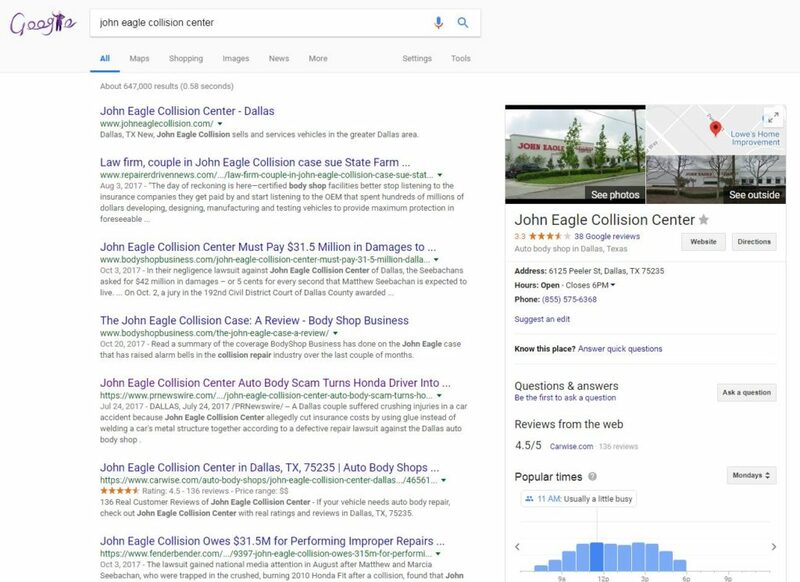 If you don’t think consumer perception and media coverage after a real or perceived lapse in quality can cripple a collision repairer, just see what happens when you Google “John Eagle Collision” or get too many negative reviews on Yelp. Hartung can help teach shops how to rebound from such a blow. Chipotle made $475.6 million in 2015. In 2016, the heart of the food safety scare, its net income fell to just $22.9 million. But the company battled back to net $176.3 million in 2017 and is continuing its rebuilding process. Body shops definitely won’t want to pass on the opportunity to learn from Hartung and their peers, but anyone else in the collision repair ecosystem is welcome to attend the free “Repairer Roundtable” event as well. SCRS just asks that you pre-register so it can accommodate the final audience. “The unscripted dialog will allow repairers – both onstage and in the audience – to ask questions, explore ideas, options and opportunities that may exist for their own independent businesses, and to dig deeper into particular areas of interest from the presentation,” SCRS wrote. Everyone is also welcome to the free annual SCRS Corporate Member Recognition and Industry Awards Luncheon from 11:15 a.m. to 12:45 p.m., between the “Repairer Roundtable” and the start of the Denver Collision Industry Conference. Again SCRS just asks that you RSVP. Register for the events here: http://bit.ly/SCRSRegistration.